At Diez & Sigg Properties, our goal is simple. 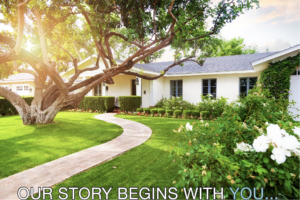 Our company evolved from a passion to create the ultimate environment through which experienced real estate agents can help buyers and sellers achieve their real estate dreams. We are a boutique real estate company with a knowledgeable upper management team and seasoned agents that have proven track records of success in the local marketplace. This unique business model allows us to operate to your advantage with the necessary connections, expertise, and support to guide you every step of the way and ensure the successful sale or purchase of your home. We understand that buying or selling a home can be an emotional and oftentimes stressful process. With over a century of combined experience in selling real estate, we are committed to helping you feel a certain level of comfort throughout the entire process. You are so much more than just another number or sale. Building trusting relationships with clients is the heart of our business. We pride ourselves in offering a “team approach”, which provides you with the best service possible and we deliver it in a friendly, hands-on fashion with a personal touch. Your satisfaction is central to the success of our company and our agents, which is evident in the many layers of support that we provide exclusively to our clients. We are committed to going above and beyond for you by utilizing our unmatched guidance, technology, and marketing resources.